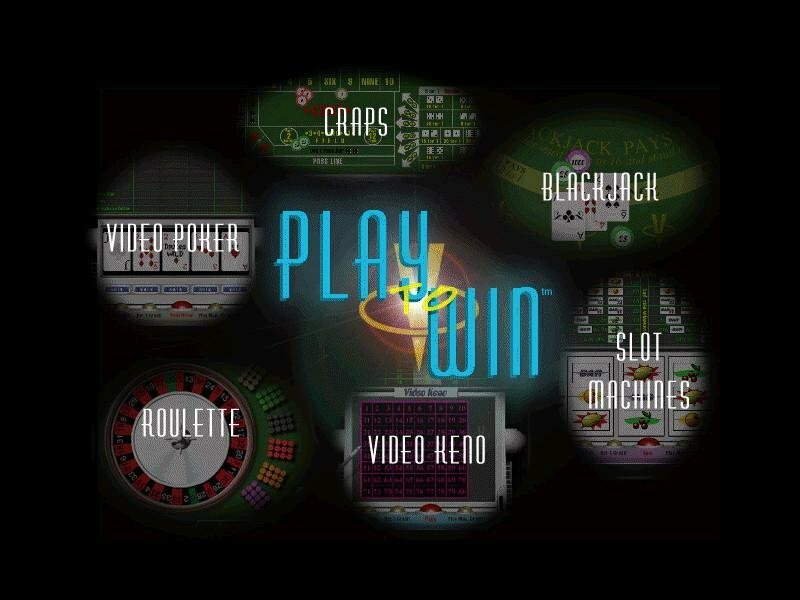 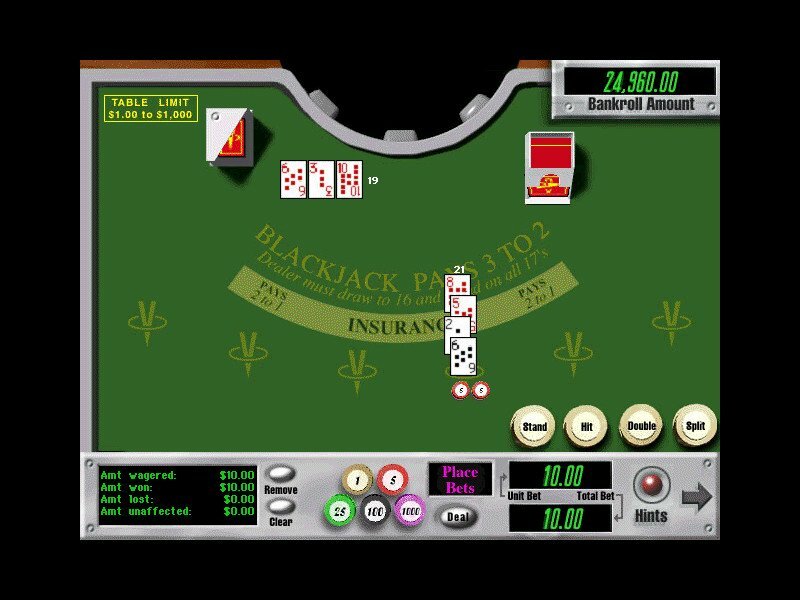 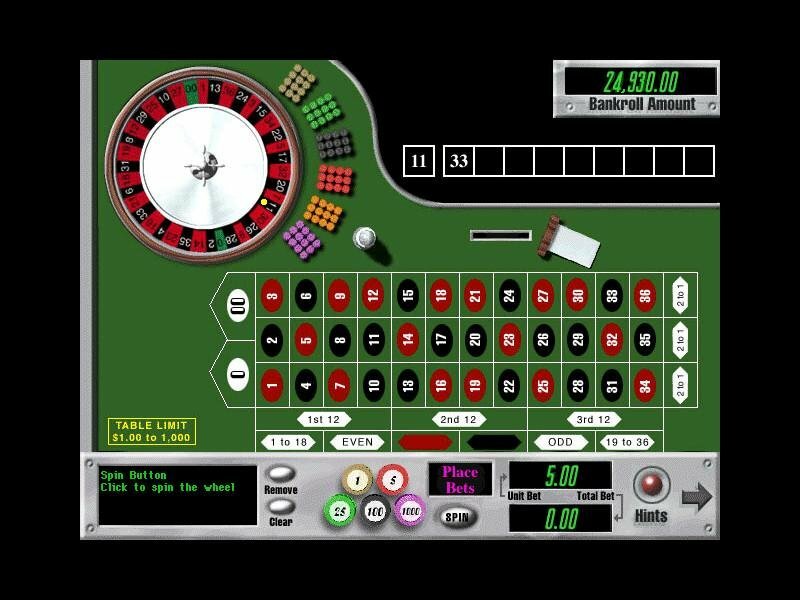 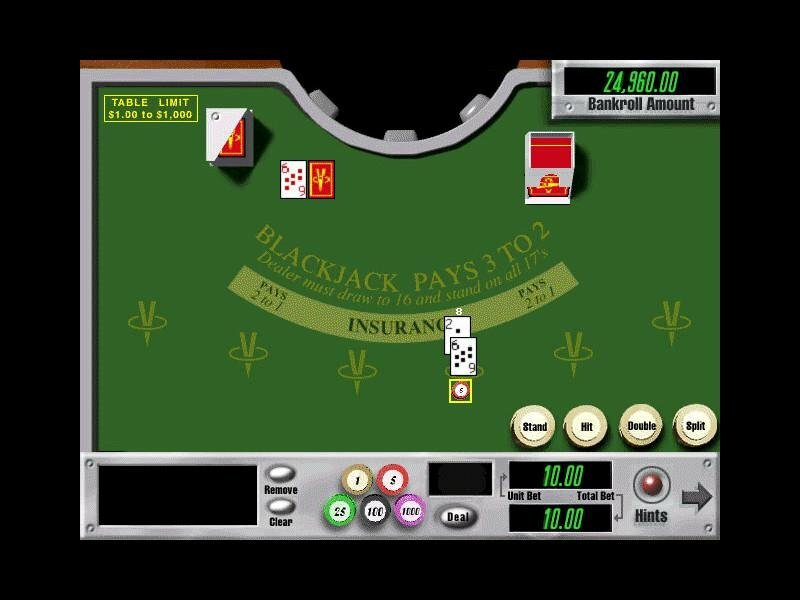 As a budget casino pack from WizardWorks, Play to Win Casino contains six standard games – craps, blackjack, several variants of video poker, slots, roulette and Keno. 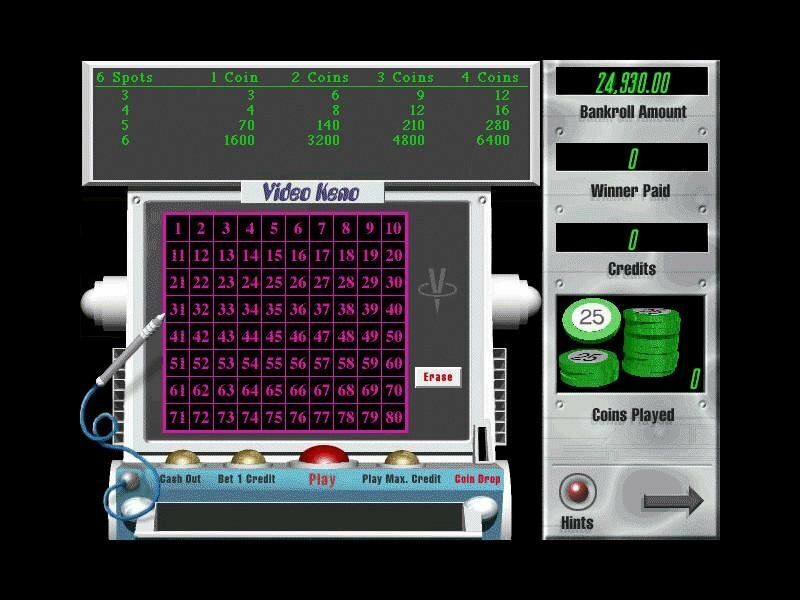 You get a cool $25.000 as starter money, which is substantially more than the traditional $5000 available with other casino bundles, and a virtual ATM for ‘maximum realism’. 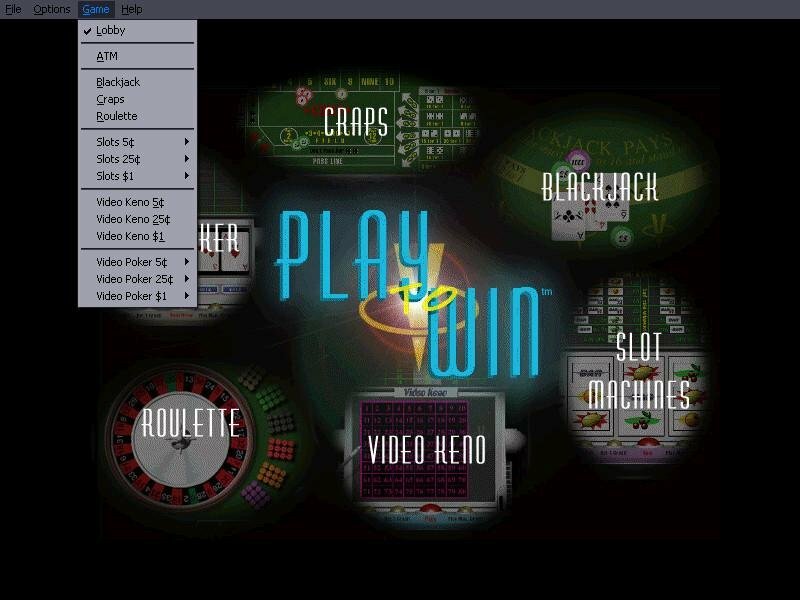 Help files explain each game to beginners and a hint system (which can be toggled off) gives common sense pointers on how you should play. 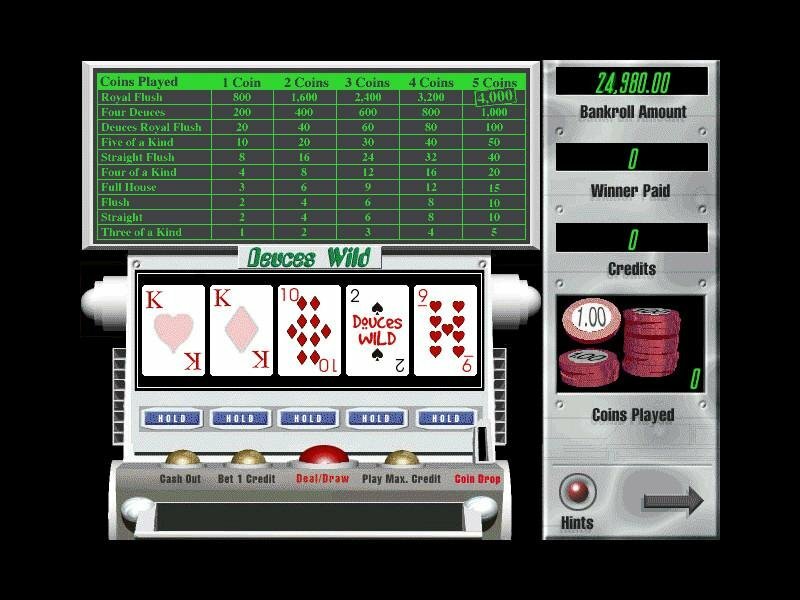 The graphics and sounds are low tech yet still effective, though both Microsoft and Hoyle have similar offerings that are flashier, more customization and come with extra games.